Centenaries are happy occasions, and this celebration of a century of learning in British Columbia, an installment in "CultureFest 100," a year-long bash, could hardly have been more joyous. Held in the superb Chan Centre and featuring the world's greatest heldentenor, this concert did not feature "Happy Birthday" formally on the programme, but that simple ditty certainly hovered over the afternoon's proceedings, despite the absence of the University's high officials. Standing in for them was the overly long self-indulgent patter of CBC host Bill Richardson, and, alas, he couldn't be switched off. After the blather, proceedings finally began with an effortlessly played "Leonore Overture," capturing the drama of the opera in its tensions and great rushes of sound, what the novelist E. M. Forster, speaking of Beethoven, called "glorious noise." The trumpet hearkening freedom always sends chills, and this was a fiery, compelling performance of a warhorse. 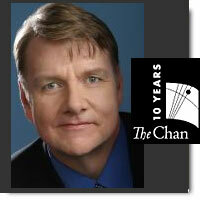 UBC alumnus Ben Heppner offered Wagner's song cycle, unusual repertoire for a tenor, as his first bouquet. The marvellous voice is a shade darker, almost baritonal at moments, but consistently thrilling. A German specialist, Heppner's diction was impeccable, and he unerringly conveyed the inner drama in these songs, giving the intimate ones their full due. Perhaps "Schmerzen" (Pain) was the most powerful and exciting of the five, with the first hint of that squillo character that has audiences jumping out of their seats. The hauntingly beautiful Traüme (Dreams) was delicately delivered, the voice perfectly placed for a poised and polished performance. The programme's second half opened with three eminently listenable extracts from the work of Vancouver composer and late UBC professor Jean Coulthard. "Lullaby for a Snowy Night" was a charmer full of evocative character, while lush and creamy tones underwrote "Summer Romance," with its surprisingly sombre colours for its title. An impish and cheeky "Polka," robust and playful, closed the set. The première of Stephen Chatman's Earth Songs, featuring the highly accomplished University Singers. A song cycle of six songs in Latin, English, French, Mandarin and a plethora of languages in Song 5 Danse des Pluies (Rain Dances) owes its inspiration to the environmental crisis, although it takes its cue and first text from Genesis, in the separation of the earth from the waters. Carl Orff's Carmina Burana easily leaps to mind, especially at the opening, but Chatman's is a dense, highly original composition. A Mandarin text and Chinese instruments are to the fore in Song 4 "The Waterfall," and throughout there is enormous interest. This is both an extremely ambitious and highly likeable piece, one deserving wide exposure. The close, a setting of a poem by Walt Whitman, is optimistic and happy, its last line "Smile, for your lover comes." Ben Heppner closed the concert with five parlour songs, pure and unabashed schlock with predictable lyrics and equally predictable musical development by a series of second-rate composers of the kind that keep the pablum flowing in Broadway musicals. This was to bring a platinum voice and steely technique to the musical equivalent of fast food, with very great art brought to infinitely small things. The voice was dramatically thrilling and achingly beautiful. Pity about the music and the musical taste. An encore from the same repertoire closed the concert.